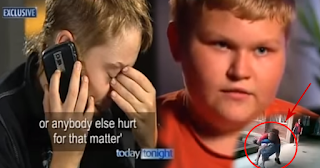 The Story Behind this Viral Video Will Make You Discomfit After the Bully Tells Different Tale! Did you remember the boy who has been labeled as "Bully Hero"? Last March 2015, a video immediately spread online of a 15 year old boy that is being bullied by his classmate inside their school campus. Casey Heynes is the name of this brave bully hero kid. Casey had been experiencing bullying for so many years by his schoolmates not until he stood up to fight for himself. The goons surrounded him was expecting to have a very nice film of bullying scene, they want to post it online to publish their humiliation to Casey, not knowing that the boy that they are bullying is not just a normal kid anymore. On the film, one boy was trying to hit him on his face and body for numerous times. At first, Casey was just standing, it seems like the goons will win this fight, but then, Casey stop all this bullying thing by knocking out the boy on the floor. Everyone seems so surprised to what happened. This video was immediately spread online, people claim that he is truly an inspiration to many of the people who has been suffering by this acts. Now, watch what happened to Casey after he became the internet sensation.